June 4th, 2018, Joppa, Maryland – Landscape management leader, Akehurst Landscape Service, Inc. announced the addition of Michael Black to the position of Commercial Landscape Project Manager. The announcement was made by John Akehurst, President and CEO. “In an effort to continue on our aggressive growth plan, Michael was added to the team to manage our Landscape Construction Department. Serving developers and General Contractors in the region on new construction sites requiring new landscapes to be installed. Michael has been chosen to expand our offerings and our service footprint,” said Akehurst. Black, a Certified Landscape Technician, worked in both the installation and grounds maintenance segments of the industry before joining Akehurst. 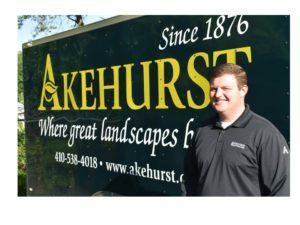 Founded in 1876, Akehurst Landscape Service is one of America’s oldest family-owned horticultural companies and a leading snow and ice management contractor for the Greater Baltimore Metro region. Akehurst is a full-service business offering services of landscape management and installation, interior plantscaping and snow/ice management. For more about the company visit, www.akehurst.com.